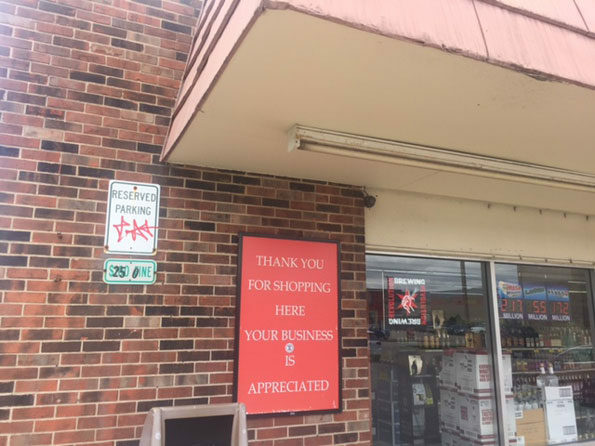 Arlington Heights police received a report about 9:30 AM Friday July 14, 2017 of criminal defacement of property (possible gang graffiti) near Liquor Mart, 704 East Kensington Road Arlington Heights, IL. 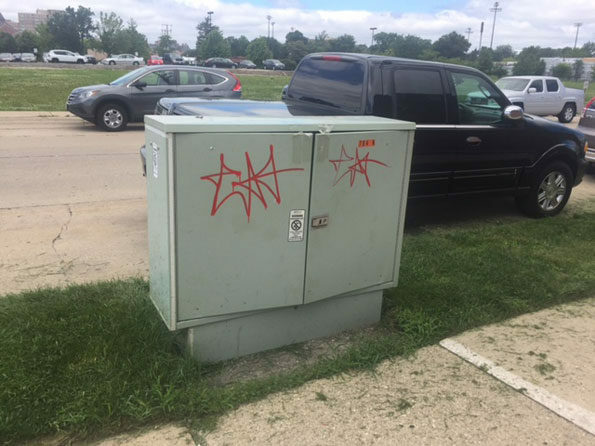 Police received a report that an unknown offender or offenders defaced a utility box in the parkway on Hickory Avenue, and “Parking Reserved” sign on the wall of the building. The defacement was noticed in the middle of the week. Police were called sometime Friday morning, July 14, 2017. There was no confirmation of gang graffiti available. The crime is reported to have occurred mid-week during this week. Several areas near the corner of Kensington Road and Hickory Avenue showed signs of previous graffiti or graphic removal.